Playoff teams will be determined based on team scores following this, the last of this year’s first round of competitions between Lorain county high schools. 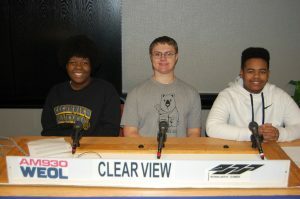 The teams are from Lorain’s Clearview High School, represented by, as pictured left to right, Camryn Milbert, Nathaniel Suprun, and Tahj Alkassem and North Ridgeville High School’s team, left to right, Aidan Cunningham, Emily Hiles, and Jonah Fechner. Click above to hear the program. Open in a separate window in order to continue browsing the web as you listen. You may read the final results in our official news release. Olmsted Falls High School won last year’s championship and undoubtedly wants to do it again to attain a record number of championships in the Scholastic Games annual series, but Avon Lake High School, another former championship winner aims to stop them short. Though both schools have great records, the teams change each year so anything can happen. 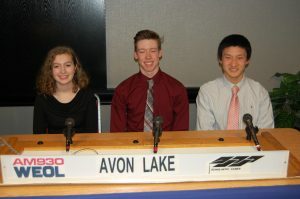 The challengers from Avon Lake are, as pictured left to right, Natalie Miller, Connor McNeill, and Irwin Deng. 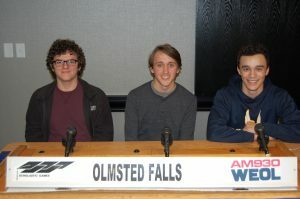 The Olmsted Falls team consists of, left to right, Nick Gaba, Ben Meredyk, and Sam Gray. Click above to hear the program (and open in a new window to continue to browse as you listen) or choose the spoiler: final results of the contest detailed in our official news release. 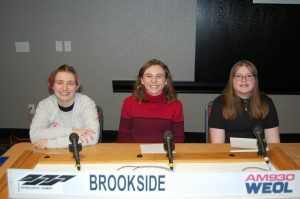 Tags: academic competition · Avon Lake High School · avon lake ohio · high school quiz show · Olmsted Falls High School · Olmsted Falls Ohio · radio quiz programNo Comments. The new Superintendent of the Elyria Public School system is a product of the Elyria Public Schools and believes that knowing the community as she does, will help her to achieve the educational goals for the community to graduate productive citizens. 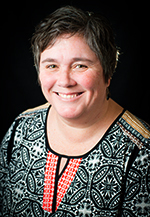 Ann Schloss has served quite successfully as the Academic Services Director for the district giving her knowledgeable background in curriculum and teaching. 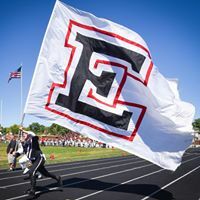 Hear Ann’s discussion of the Elyria schools and what she would like to see them accomplish on this “Dialogues” program. 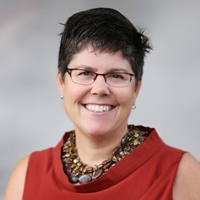 Tags: Ann Schloss · challenges · Elyria Ohio · Elyria Public Schools · SuperintendentNo Comments. Tags: career training · innovative programs · Lorain County Community College · MEMS · Micro Electric Mechanical SystemsNo Comments. The Community Foundation of Lorain County is serving as one of the sponsors of the “Building Extraordinary Communities in Lorain County” program which is attempting to unify all Lorain County communities in job creation, job preparation and job access. It’s a major program analyzing which communities have the highest poverty levels, what job skills are needed to serve the local economy, and where the workforce needs to be better aligned with employment opportunities. Listen as CFLC Executive Director and President Cynthia Andrews describes the Communities program as well as other efforts the Foundation has underway to benefit Lorain County and even how you can establish a foundation if you would see this possibility. Join Bob Tayek in this Dialogues conversation. Tags: civic partnerships · community colleges · industry · job creation · job training · jobs · Lorain County Community CollegeNo Comments. 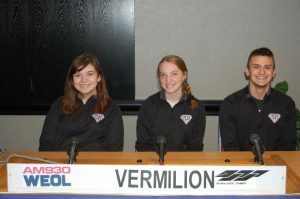 Columbia High School returns to Scholastic Games competitions this year to face the academic team from Elyria. 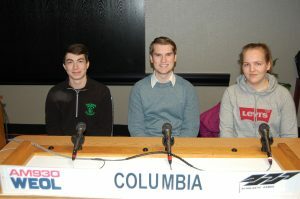 Representing Columbia are, as pictured left to right, Matthew Dixon, Jackson Ives, and Annie Sprinkle. The Elyria team consists of, left to right, Matthew Carson, Garrett Worden, and John Schuman. Click above the hear the program. We recommend opening the program in a new window so you can listen as you continue to navigate the web. If you can’t stand the suspense, final results are available from our official news release. Tags: educational broadcasting · Lorain County OhioNo Comments. An interesting match this week, and toss those stereotypes aside, because it’s a very competitive contest. The private school is Lake Ridge Academy in North Ridgeville, Ohio, and the public school is Brookside High School in Sheffield, Ohio. 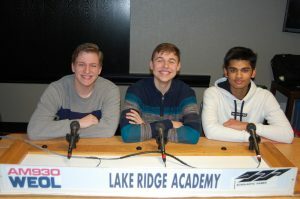 It just happened that the Lake Ridge team is all male, as pictured left to right, John Harrington, Ryan Rosu, and Sparsh Balabadrapatruni, and Brookside is represented by three women competitors, left to right, Dakota Rabineau, Lucia Morello, and Kassie Brooks. To hear the program, click above. Open it in a separate window if you wish to continue to browse the web as you listen. If you can’t wait to see the results, there’s a spoiler in the form of our official news release. This week it’s Avon High School, represented by, as pictured left to right, Jacob Broesger Alex Stamatis, and Connor Smith, and Grafton’s Midview High School, with its team, left to right, Zachery Deering, Kristin Prunty, and Joel Greenly. Click above to hear the competition (and open in a separate window to listen as you continue to browse online). If you want an instant spoiler, you may check out our official news release. 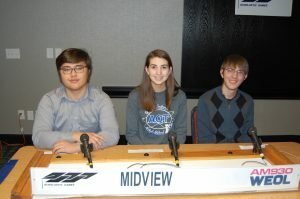 Tags: Avon High School · Avon Ohio · Grafton Midview High · high school quiz program · Midview High School · radio quiz showNo Comments. “Have Fun While You Learn” -What a Concept! 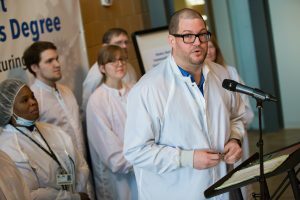 How did you attract middle school students to the subjects of science, technology, engineering, the arts, and math? With support of the Nordson Corporation, the Fusion Marketing Group is touring Lorain County schools with an entertaining and educational program called “The Nordson Tech Time Challenge.” On this edition of “Dialogues on Education,” program host is Jami Kinton explains how they are able to grab the students’ attention with an interactive high energy program using current popular music and other techniques to best communicate with pre-teens. 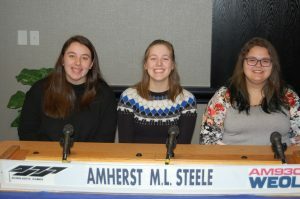 Tags: Amherst Marion L. Steele High School · Amherst Ohio · high school quiz program · radio quiz show · Vermilion High School · Vermilion OhioNo Comments.